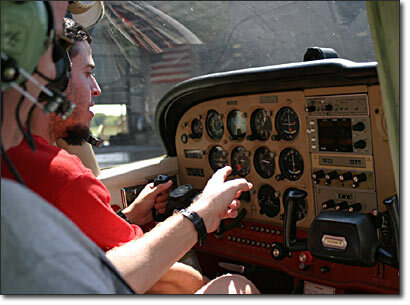 Have you been looking for a flying lesson school on the Gold Coast and not sure which one is the best. We are an RA-AUS approved flying school and what that means is we can teach you to learn to fly aircraft that are rated differently to that of General Aviation aircraft and at an affordable cost. Learning to fly in General Aviation Aircraft is quite an expensive exercise, usually around the $350 – $400 per hour rates. This can be considerably difficult for someone to learn to fly who is on a budget. There is another way of course and it does not come with the large $20,000 – $50,000 tuition costs. We recommend what most want-to-be pilots are doing now and they are starting out with Recreational Aircraft License and the benefits are certainly outweighing the costs. Getting flying lessons with the RA (Recreation Aircraft) method will cost around $5000.00 in total. You only need a minimum 20 hours of flying experience to get your license, but expect to get it within 20-30 hours. At Airsport Qld, the current prices are $210 per hour training, considerably lower than any GA flying school. The other great thing about learning to fly with Airsport Qld is that the location is ideal. The local area is a small town in Boonah, around 1.5 hours west of the Gold Coast. The picturesque scenery and quiet location provides a few benefits for learning to fly. You do not need to be too concerned with a busy airport, with a large volume of aircraft fighting for the single runway.Which means you can focus more on learning rather than being consumed with too much to handle at one time. On the weekends it can get busy, with the gliding club operating, however this serves as an opportunity to learn to fly with other aircraft. Flying during the week can get you off to a great start. Another benefit is, no taxi waiting periods. At other flying schools, such as the ones at Gold Coast Airport, you have to wait for other aircraft to depart and land before you can get into the air. So out of an hour lesson, you may actually be flying 30 minutes as opposed to 45 – 50 minutes. At Boonah, there are no waiting periods. You are up in the air in no time and you are getting every cent worth out of your flying lesson costs which will help you get your license faster and easier. Some training pilots have chosen to get their license in a 2 week block. Which means, they stay locally and fly everyday until they achieve their desired result.